As a lot of older Volvo’s, my S80 showed the cumbersome “Alarmservice needed” message. I decided to search for a fix instead of buying a new one, which costs about €280 – €300, which is a lot of money. 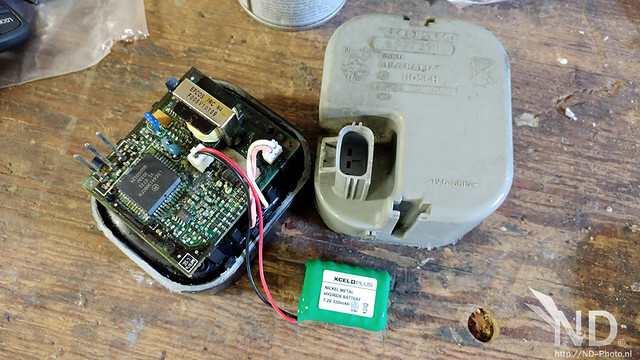 The process is very simple, slicing open the siren, disconnecting the battery pack and plugging in the new battery pack. The hard part is to remove the security bolt, I used a angle grinder and then tapping it out. I used a normal bolt when I mounted the siren again.